The search for the renewal, the respect for man and for the environment and quality have always been the base of our activities Carpenters Artisans. In 40 years, our small company has confirmed a qualified carpenter finalized in the production of windows with high energy efficiency and acoustic . Realizable customized solutions, furniture and windows/doors in modern design or rustic style, always with a view to create a welcoming and exlusive environments with special regard for the ecology. In 2015 is born the new brand WARM and WOOD including furniture, tableware and musical toys for kids made ​​of heat-treated wood Bio Antique® and designed by Andrea Francesconi. 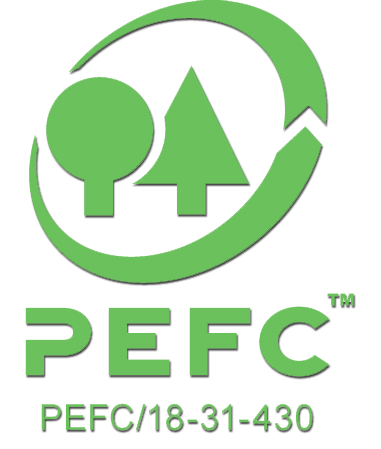 Obtaining PEFC Certification has created an added value to Carpentry, ensuring that products are made from wood that comes from forests managed in a sustainable and responsible manner. Carpentry Gabriele Cocco is part of the Consortium "Veneto Wood Project" an organization of venetian companies that promotes the wood of their territory.